PHASE Nepal now has over a decade of experience of improving access and of quality primary health services in the remote villages through its continuous support to Government Health Posts with qualified and trained staff ; free medicine and a variety of health awareness programmes. “It is a ‘model’ project replicable for other I/NGO in Nepal”, as evaluated by the Social Welfare Council of Nepal in 2016. PHASE Nepal health projects are funded by a number of long term international partners and donors. 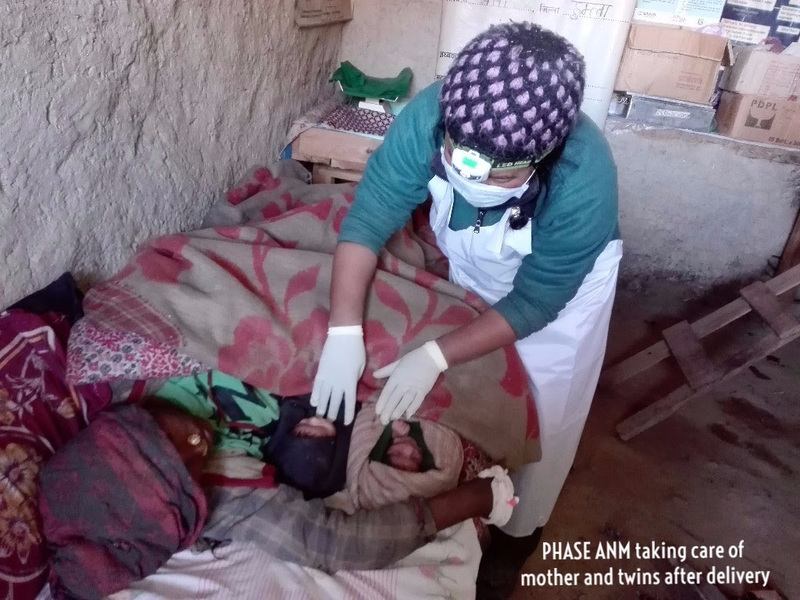 Between January and April, a total of 30,538 patients including 17,604 women received primary healthcare services from PHASE Supported Health Posts in 22 remote villages in 6 Mountainous Districts of Nepal. Recently PHASE has expanded its health service in 2 more VDCs, Baruwa and Bhotang, with the funding from HDFA in a new integrated project called Upper Indrawati Development Project. In this period, our dedicated health staff provided timely services to several sensitive cases from the PHASE supported clinics. A mother (aged 28) from Maila, Humla appreciated PHASE health services in the following words. Professional help is particularly important during twin births, as complications for both babies and mother are much more frequent in these cases.